Goa beach, where do I go from here? if you are asking your self the same question, you are in the right place. 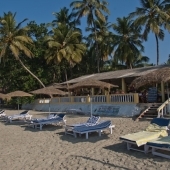 In Goa you can get to choose from many types of accommodation indeed; but finding the right Cottages in Goa is never an issue in case you follow few simple rules. 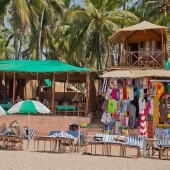 Budget – make sure you know more or less how much of your Goa holiday budget you care to invest in your beach cottage in Goa. 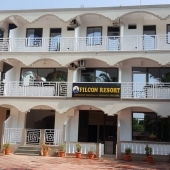 if you have no idea where to start, ask around in facebook, someone you know might be updated about resort prices in Goa this season, try searching around for resort in goa with prices. Online Research - search google, yahho or bing for: resorts in south goa, cottages in goa, you can be more specific in your search: resorts in agonda, cottages in palolem, goa beach resorts, south goa cottages, are all good search terms. carefully make sure the resorts you found are autentic and that they show good references, lots of pictures and reviews, and that the information on the site is up to date. compare what each Goa resort has to offer before you start booking. Location - The more specific you are about the location in Goa you care to explore first, the easier the search will be. Goa is wonderful where ever you go, but choosing the right Goa beach for you can make the all differance between great Goa vecation and well, a less great one... .
Cottages in agonda are different in nature from the general Cottages in Palolem beach, the area is more family friendly and mellow, less noisy and load, so are the people, and generally South goa vibe is totaly not the rushing north Goan expiriance. Book in Advance - Goa season is quite long, the peak season between November and March if we strech it, never wait till the last moment for booking your huts in goa, be aware that even that the selection of goa resorts is huge, the good places are first to be full. 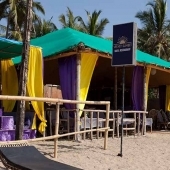 In fact there are so many "special days" and Indian holidays, like Diwally, Ganesha, and whilest Goabeaches are getting full very fast, find a cottage in Goa to stat in then may prove to	be nearly imosible..
thats it, you are ready now to start and find your cottage in south or north goa. goodluck!